Returning to RoughEdgeFM in 2018! 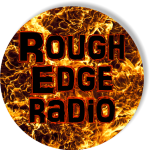 Want your music featured on Rough Edge Radio? Revised: 09 Jan 2018 02:13:45 -0500.